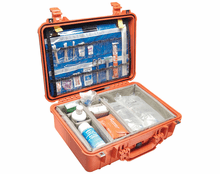 To organize first responders everywhere, Pelican™ Products, Inc., a leading manufacturer of high-impact, all-purpose watertight Protector™ Cases, has unveiled the 1500 EMS Case. 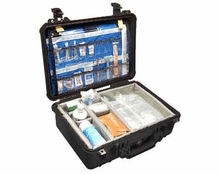 The Pelican™ 1500 EMS Case features a specially engineered medical supply organization system which includes a lid organizer with clear pockets and a fully customizable, hook-and-loop, padded divider set. 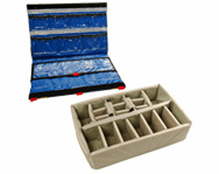 The system is perfect for quick and easy inventory and storage of pre-filled syringes, solutions, vials, and ampules along with all other accessories carried by EMS techs everywhere.